Bruce Lee may have died 45 years ago this month (July 2018), but he remains one of the best-known Chinese celebrities. Lee’s films kick-started the kung fu genre, turning martial arts into a global phenomenon and boosting the Hong Kong movie industry’s reputation internationally. Lee is one of the top-earning dead celebrities – and on a relatively slim body of work: he featured in just three kung fu films that were released while he was alive (The Big Boss , Fist of Fury  and Way of the Dragon ). Two others (Enter the Dragon  and Game of Death ) were released after his death, at the age of 32, on July 20, 1973 – just six days before the release of Enter the Dragonwould make him a global superstar. Matthew Polly’s new biography is long overdue but does Hong Kong’s most famous son proud. And Polly has credentials: he studied kung fu himself, at the celebrated Shaolin Temple, in Henan province, in the early 1990s. 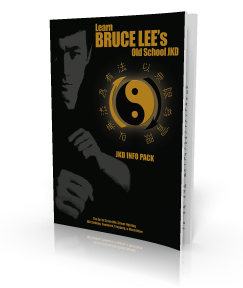 The writer vividly describes how Lee mastered and advanced various martial arts forms, and he exercises a pleasing biographical rigour, with extensive notes and citations, as well as a 14-page bibliography. We learn that Lee’s mother, Grace Ho Oi-yee, grew up in one of Hong Kong’s richest families, but became smitten with Li Hoi-chuen, a Cantonese opera singer and film actor. Ho accepted being disinherited so that she and Li could marry. The fourth of five children, Lee was born in the United States, in 1940, while his father’s opera troupe was touring the country to raise funds for the Chinese war effort. He received US citizenship and used the anglicised version of the family name (although Hong Kong newspapers would later insist on using “Li”). Lee and his parents returned to Hong Kong when he was three months old. From the outset, he was a dervish of irrepressible energy (his childhood nickname could be translated as “never sits still”). To his family’s distress, he was no academic, spending his school days fighting with British boys in the colony. Thanks to his father’s connections, Lee started appearing in films as a youngster, generally playing a troublemaker. He also put together a gang of young toughsand was expelled from high school after threatening his physical education teacher with a knife and forcing a boy to drop his trousers and painting his private parts red. After the expulsion, Lee was sent to Seattle to work as a waiter under Ruby Chow, a family friend who owned a Chinese restaurant. He chafed under her firm hand, refusing to be respectful by addressing her as ayi, or auntie, and only ever calling her Ruby. Young Lee had a clear dislike of authority, yet Polly suggests he thrived in Seattle. He stayed on in the city and was accepted into the University of Washington to study drama, although he pursued his own interests (particularly philo­sophy, both Western and Eastern, and physical classes such as judo, gymnastics and dance) at the expense of grades. Lee went on to open a chain of kung fu training gyms, meeting Hollywood players such as Steve McQueen, who trained under him and eventually helped lead him to stardom. While much of this is widely known, Polly’s biography puts forward a new theory about Lee’s death, arguing that due to overwork, the actor had lost 15 per cent of his body weight in his final two months, and was down to 54kg. On May 10, Polly writes, Lee collapsed in Hong Kong while dubbing Enter the Dragon with the air-condition­ing turned off to prevent it affecting the recording. Taiwanese actress Betty Ting Pei in September 1973. Then, on July 20, at the Kowloon Tong apartment of his mistress, Taiwanese actress Betty Ting Pei, he complained of a headache. He smoked some marijuana, took the Equagesic painkiller (a combination of aspirin and tranquilliser mepro­bamate) and laid down for a nap at about 7.45pm. At 9.30pm, Ting was unable to revive Lee. The actor could not be found dead in his mistress’ flat, so he was dressed, a doctor was summoned and an ambulance called, and Lee was taken to Queen Elizabeth Hospital, in Yau Ma Tei. Over two hours, multiple physicians and paramedics went through the charade of trying to revive a man who had clearly passed away: no one wanted to be respon­sible for declaring Hong Kong’s most famous son dead. Not surprisingly, conspir­acy theories followed, even after the autopsy. His death was variously attributed to the mari­juana or the painkiller. There is, however, no record of anyone ever having overdosed on cannabis and, while people do have allergic reactions to aspirin, Ting said that Lee had taken Equagesic before. Polly’s contention is that Lee was killed by heatstroke. The symptoms that the actor presented on his first collapse – weakness, sweating, high temperature, vomiting, convul­sions, loss of consciousness – are consistent with the condi­tion. Lee had also had sweat glands removed from his armpits a few months earlier (thinking that dripping sweat would look bad on screen), so his ability to dissipate heat would have been significantly diminished. Although highly readable, Bruce Lee: A Life has dips in quality. Polly does not handle dialogue well, too often attributing emotion rather than letting words speak for themselves. Over just two pages, he describes people as having “pleaded”, “smiled”, “nodded”, “instructed”, “shrugged” and “teased” when they spoke. It’s clumsy and a good editor should have fixed this. And to read more about Lee’s famous friends would have been fun, as well as his many escapades: Lee had affairs, loved fast cars and over­spent (although he also wisely invested in insurance policies). These, though, are minor issues. Bruce Lee: A Life is ultimately engaging, enthusiastic and empathetic.